X-Men: Days of Future Past (2014) is the latest in Marvel's ongoing series of gigantic comic book adaptations. It is the sequel to X-Men: First Class (2011) and is the fifth continuous X-Men movie following the original trilogy which began in 2000 and had no small part in the revitalization of the comic book superhero genre as we know it today. Along the way, however, the films' continuity has become somewhat muddled, and to a certain extent Days of Future Past is here to clear up things the best way science fiction knows how: time travel. Bryan Singer returns to direct, and he pulls a Star Trek 2009 on the franchise and (mostly) succeeds. Ever since The Avengers broke the box office and drove fans into hysterics, comic book movies have struggled to find their footing in this new world where we want to see all our favorite heroes in the same movie. Days of Future Past attempts to answer this call by including mutants from both the new First Class timeline and the original trilogy, as well as inviting a bunch of newcomers to both timelines. We get a massive selection of mutants with beautifully animated superpowers, and between the high-level production design and the thespian performances it's all quite enjoyable. McAvoy as young Xavier struggles with the weight of humanity and Fassbender as young Lehnsherr fights for a future he sees slipping away. The introduction of Peter Dinklage as Bolivar Trask is pitch perfect (he's sinister without being overly campy), and it's really great to see all the generations of X-Men together. 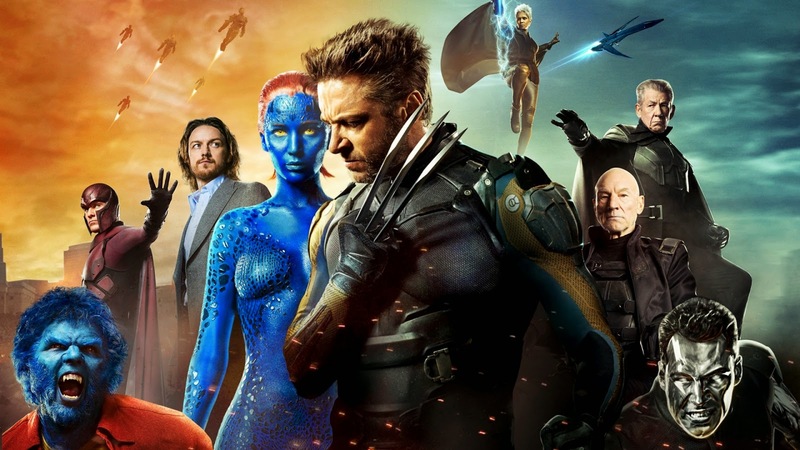 The film's greatest strength is that strange ability shared by First Class and some of the original X-Men movies to dramatize genuine conflict by opposing characters' ideologies. These movies have always succeeded narratively because of the way the intricacies of the plot grow into a larger conflict by developing characters and exploring ideas. So, for example, you have Xavier and Lehnsherr and their basic battle between blending in and standing out, but instead of feeling small or isolated (a problem experienced by Transcendence, for example) the movie also ties these events and moral codes into greater historical politics (e.g. JFK's assassination and Nixon's presidency) while talking about thematic issues like hope and trust. The movie uses its big budget to take on a big scope, which is really all movies like this owe to their audience. There are two scenes in particular which are absolutely phenomenal in this regard. The Quicksilver Time In A Bottle sequence is beautifully orchestrated and irresistibly hilarious, and the Vietnam War negotiation infiltrated by Mystique and the few assembled X-Men is nail-bitingly, knuckle-whiteningly intense. Both use established knowledge of characters for comedy or narrative tension (respectively). Between these scenes and Xavier and Lehnsherr's philosophical arguments, this is how you turn a silly sci-fi action movie into something more complex and enjoyable. The problem with Days of Future Past lies with the Raven/Mystique character. Jennifer Lawrence's chameleon mutant is the crux around which the central conflict turns (the X-Men go back in time to prevent her from assassinating Trask), but her character has no arc. She's determined to assassinate Trask from the opening of the film and remains so until the plot finds it important that she change her mind, and when she does it's straight from black to white. We get no insight into her thoughts, and the single choice she makes at the end of the film is the only agency she's afforded. There are multiple scenes with the good guys explaining calmly and logically why Mystique should rethink her plans, and every time instead of a reasonable response she either runs or fights her way out of the scene. This isn't strength or conviction, it's obstinacy and stubbornness. In a world where strong female characters are finally finding the ability to draw in audiences, it's disappointing to see an otherwise successful film with such a two-dimensional heroine. Overall, X-Men: Days of Future Past is another solid but unexceptional entry in the gigantic and growing Marvel universe. If our generation isn't remembered for its superhero movies I don't know what it will be.